We love summer here at DuBois Center! Camp DuBois is a tradition spanning generations of families in the region – make it a tradition for yours today! Our beautiful setting, exciting activities and faith-based lessons combine to form an awesome experience our campers won’t soon forget. In this fast-paced, tech-centered world, it is increasingly important for kids to slow down, unplug and make real-world connections. At DuBois Center, faith-focused and relationship-building activities are woven throughout each day, whether exploring the creek or gazing at the stars. Cabin groups, typically of about five to eight campers, combine to form DuBois family groups. These groups experience much of camp life together. On the first night, campers and leaders discuss and choose many of their adventures for the week. We offer a progression of activities based on the age group, program focus and skill level of the campers. There are new challenges and experiences for the youngest of campers, as well as for more adventurous youth. Because church camp is joyful fun! It is a sacred place. It is intensely relational and positive role models abound. Camp is different from Vacation Bible School and Sunday School as it is a round-the-clock immersion experience. Camp activities are fun, challenging and filled with opportunities to grow in our faith. These activities help us grow closer to God, love and care for ourselves and others, and learn to respect and care for God’s natural world. Join us for camp at DuBois this summer as we worship, play and grow together. We are excited to be part of your child’s summer and hope to become a tradition in your family. Who can come to DuBois for camp? Anyone! We host camps for all ages, genders, denominations and races. Although we are a United Church of Christ camp, we open our arms to any and all who wish to join us for summer camp. Check out our camp sessions to find the right camp for you or your child. Each year, we select a theme around which we program all of our activities. The goal of each theme is to excite our campers about learning about God and his creation. Our camp sessions range from family camps to high school camps and are offered throughout the summer. We also offer camps with varying lengths of time, so your camper can choose the session that feels right to them. 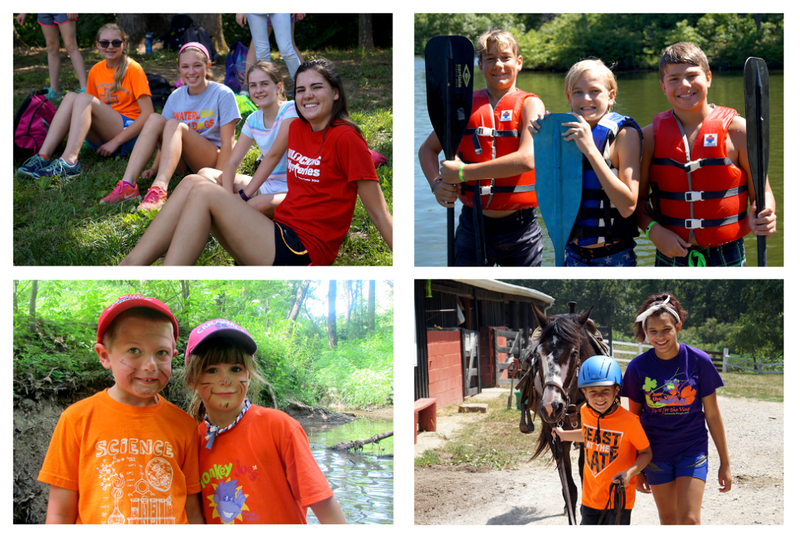 We also offer a variety of themed camps, including horse camps, science camp, Girl Power and Boy Meets Camp. Because our camp sessions change every year, we encourage you to download our most recent camp schedule to learn more information, including dates when each session is offered. The most recent Summer Camp brochure provides more detailed information, including descriptions of each session. Our LEAD program allows high school students to learn the ropes about what it’s like to be a counselor at DuBois Center. LEAD campers attend a week of camp, spending a portion of the week learning from counselors and experiencing in their own activities. The rest of the week is spent as assistant counselors! Download our flyer to learn more about our LEAD program. All LEAD campers must go through our application process. Download our cover letter and questionnaire to get started today. Just like our other volunteers, LEAD candidates must also fill out a Volunteer Application, three Volunteer Reference forms and a DCFS Authorization form. Our LEAD forms, including the volunteer forms, are all also listed on our LEAD page. Our dedicated staff provides positive leadership and guidance for our campers while Pastors and Christian Educators enrich the faith-based focus throughout the summer. All of our leaders are screened and trained with our Safe Conduct procedures. Our full-time Director of Outdoor Ministries provides supervision and support for the program, staff and campers. Learn more about our staff here. If you’re interested in joining our staff, check out our employment page. For information on volunteer opportunities, click here.